Based on the goal of promoting self-sufficiency, the Fallon Paiute-Shoshone Tribe established the Fallon Tribal Development Corporation (FTDC) in 2004. FTDC is a federally-chartered corporation under Section 17 of the Indian Reorganization Act which was approved by the US Department of the Interior, Assistant Secretary of Indian Affairs. 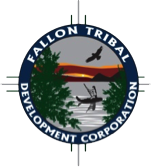 FTDC promotes and develops economic development on behalf of the Fallon Paiute-Shoshone Tribe. 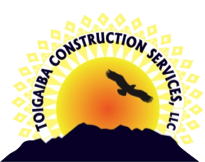 FTDC has 3 businesses that it currently manages and operates which are Fox Peak Station I (Fallon, NV), Fox Peak Station II (Fernley, NV) and Toigaiba Construction Services. Fox Peak Cinema is the latest development of FTDC. FTDC performed the groundbreaking ceremony on February 12, 2015. Construction started soon after and was quickly completed within 7 ½ months. The Grand Opening ceremony on November 6, 2015 was held in front of Fox Peak Cinema with a crowd of many local supporters, reporters and news cameras. Fox Peak Cinema has a total of 8 screens that work in conjunction with 3rd generation NEC projectors. All theaters are equipped with full Dolby 7.1 surround sound with one of the largest theaters running the impressive Dolby Atmos® technology. Our theater seats a total of 849 people in our brand new luxury Irwin seats. Upon entering the theater, guests of Fox Peak Cinema will be offered a variety of quality concessions and will be able to create their own drinks from over 27 different flavors from our state-of-the-art Coke Freestyle machines.